NYO takes its totally teenage orchestral brilliance to the Festival Berlioz in La Côte Saint-André, southeastern France this August. 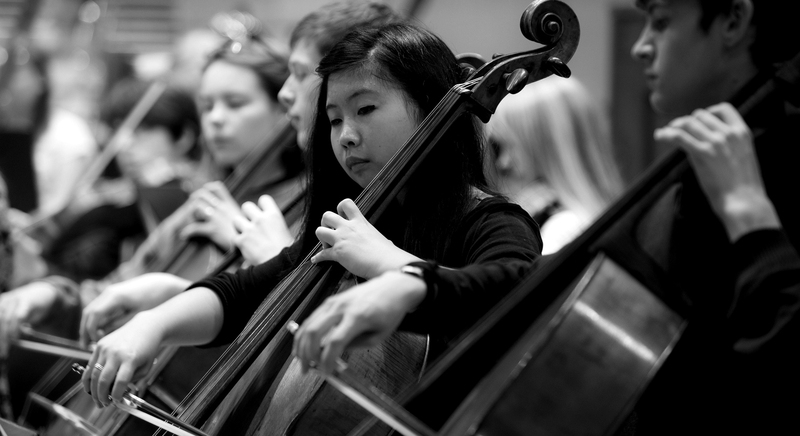 145 talented NYO Musicians will celebrate youth and life in a programme featuring Berlioz's Rob-Roy Overture, Stravinsky's The Rite of Spring and the beautiful Polaris by Thomas Adès. NYO Musicians give a series of free chamber music performances at La Côte-Saint-André's community swimming pool, with music including Debussy's Golliwog's Cake Walk, an arrangement of Strauss's Ein Heldenleben for horns, and traditional dixieland jazz. NYO Musicians give a surprise flashmob performance of Holst's St Paul's Suite and Stravinsky's The Rite of Spring in the picturesque surroundings of La Côte-Saint-André's traditional medieval marketplace. NYO Musicians take part in an informal community concert as part of Festival Berlioz's 'Grande fête baroque' (Great Baroque Festival). With readings, tours of the neo-Gothic château, 19th century craft demonstrations, and traditional games for all ages.